As most of you know, plants have always been an inspiration to me. And now that Kevin and I moved back to the Northeast of the US recently, we both realized how much we missed the woods here. The lushness of it, the abundance of nutrients, the softness of the fertile ground. It was many of these forest plants that first got us interested in natural health. From learning about how to best use them in skin care, add them to our cooking for health benefits, or apply them topically for minor wounds. We were foregoing for these nutrient rich plants way before we started Annmarie Skin Care. Not to be confused with the banana-like fruit, this weed is a low-growing, bright green plant that resembles a shrub. When it’s flowering, yellow stalks of tiny flowers shoot up in its center. It is antimicrobial, analgesic, anti-inflammatory, and choc full of antioxidants, calcium, and vitamin K.
Topical Uses: It has been said to be helpful for burns, rashes, acne, dandruff, poison ivy, or bug bites. Ingested Uses: For centuries, cultures all over the world have used plantain for digestive issues, as a pain reliever, to improve circulation, and to slow infections. 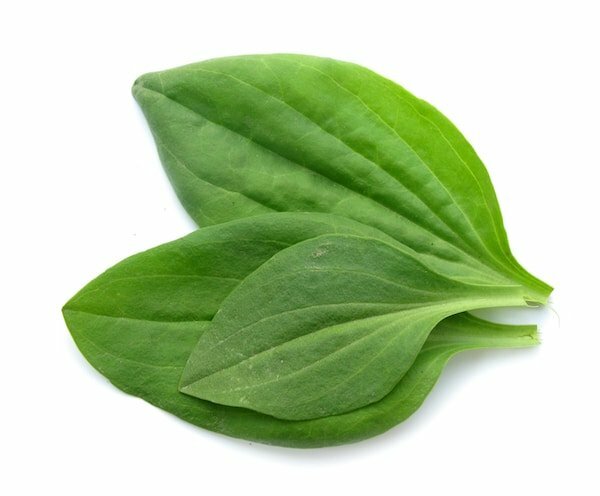 Today, most foragers use plantain in their diet for added nutrients or steep the leaves into a tea to soothe sore throats or coughs. Plantain grows in just about any kind of soil, but it’s generally found in areas covered in thick grass, with at least partial sunlight. This weed is easy to harvest on your own. Just snip the leaves and use—provided no fertilizer or pest-repellent has been used in the area. Found in these ASC products: Aloe Herb Cleanser, Probiotic Serum with Tremella, Anti-Aging Facial Oil, and Radiant Skin Silk Body Lotion. Have you spotted plantain in your yard? Read more about plantain’s skincare benefits. You know you’ve found this pretty weed when you see its telltale white, light pink, or lavender bell-shaped flowers. The plant itself is tall, growing up to five feet. If you’re not sure if your plant is milkweed, cut the stem. A milky white substance should ooze out—hence the name. Milkweed is a natural diuretic and detoxifying agent. Topical uses: Its latex (the milky substance found inside its stems) has long been used in helping to get rid of warts and ringworm. Ingested uses: Be careful here, you’re going to want to boil this weed before eating, as the latex (which dissolves in boiling water) is considered toxic. 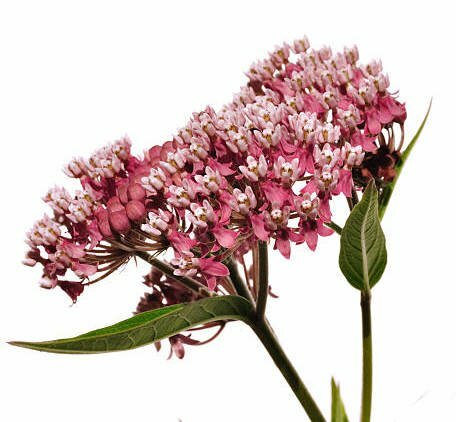 The benefits of ingesting milkweed include helping coughs and bronchitis, improving circulation, and relieving constipation. Common milkweed prefers open fields or somewhere with a lot of direct sunlight in sandy or rocky soil. You can harvest several different parts of the plant for eating, including the shoots, the leaves, the new seed pods, and the flowers. (Again, it’s important to boil the plant before eating to remove toxins.) For topical uses, harvest the fully-grown stalks for the milky latex inside. Found in these ASC products: Coconut Body Oil, Anti-Aging Serum, Anti-Aging Facial Oil. 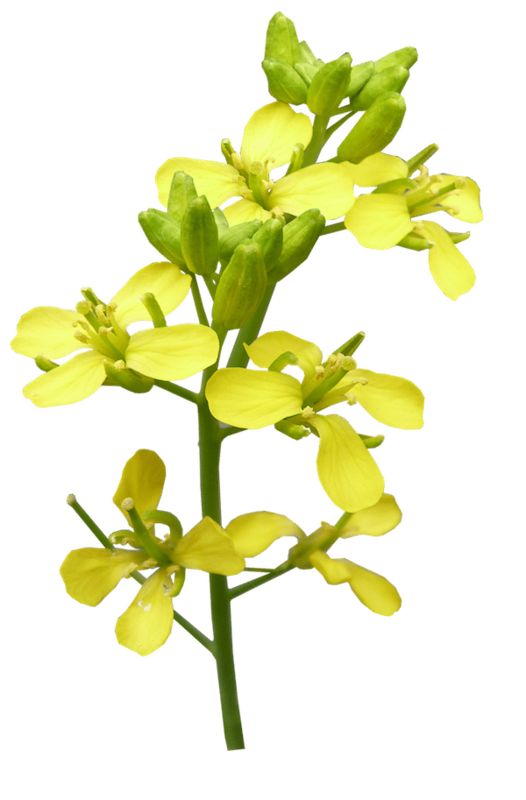 Before its seeds become the spicy brown sauce on your hotdog, mustard looks like yellow or white wildflowers, with bright green stems. Mustard is a good source of minerals such as phosphorus, calcium, magnesium, vitamin A, and potassium. Topical uses: Mustard is used on the skin to help psoriasis, muscle pain, ringworm, and even some say even acne. Ingested uses: Eaten (not as a sauce), mustard improves cardiac health, has a detoxifying effect on the body, promotes healthy skin and hair, and helps with decongestion. Some say the weed can even help stymie the effects of drinking too much alcohol and stimulate your metabolism for faster weight-loss. Mustard requires fertile, well-drained soil with a lot of moisture. You can either harvest the seeds inside the flowers, or just snip and eat the greens themselves. Nettle, as delicious and beneficial as it can be, is covered in tiny hairs that sting the skin with chemicals when touched. These hairs give the tall, green weed a fuzzy appearance. Nettle typically grows in bunches and sometimes sprouts fuzzy white flowers. Nettle includes many beneficial amino acids and antioxidants, as well as vitamins C, K, and B. It’s also a great source of calcium, iron, and magnesium and is a natural diuretic. Topical uses: The antioxidants found in this weed make it a good choice for skincare, especially for those concerned with aging skin. In addition, nettle has been used topically to relieve joint pain. Ingested uses: Besides the long list of nutrients found in nettle (making it an ideal weed to add to your diet), nettle is also used to dampen the histamine response during allergic reactions, boost the immune system, aid in digestion, and help with fatigue caused by anemia. Nettle leaves can be brewed into a tea or cooked and eaten. Nettle grows in rich and moist soil. If you see the weed one year, take note of its location. It’s likely to grow in that spot again the following year. Snip the leaves directly from the plant—but take care to wear gardening gloves to avoid being “stung” by the plant’s tiny hairs. Found in these ASC products: Anti Aging Serum and Probiotic Serum with Tremella. Have you spotted nettle in your yard? Read more about nettle’s skincare benefits. This pervasive weed grows anywhere there’s space—the space between sidewalk cracks included. You’ll recognize it by its red stem and small, spoon-like green leaves. Though many consider this weed one of the most annoying to combat in your yard, purslane is loaded with good-for-you properties, including antibacterial, anti-inflammatory and detoxifying. It also has the highest omega-three content of any known plant! Topical uses: As a poultice, purslane can be applied to the head to treat headaches or fevers or applied anywhere to reduce inflammation. 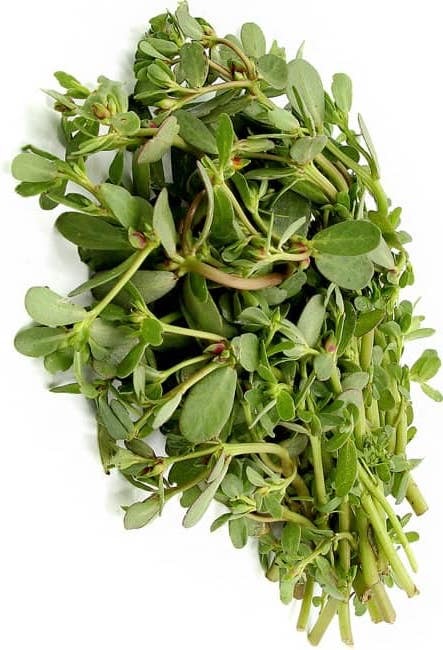 Ingested uses: Many restaurants have started cooking their dishes with purslane, due to its omega-three and vitamin A content. But it also has medicinal benefits when ingested. For example, its juice can be extracted to treat a dry cough, or the leaves can be brewed into a tea and gargled for toothaches. Purslane isn’t picky. It’ll grow in just about any type of soil. The leaves can be snipped right off the plant. If you see clumps of bright green, reed-like plants with just a few small, pointed leaves, it’s most likely a weed known as horsetail—especially if you’re near a water source. Horsetail is a known diuretic, anti-inflammatory, anti-fungal, and anti-microbial. It’s also high in silica, with helps with bone density and collagen production. Topical uses: Horsetail can be made into a powerful anti-fungal foot soak to cure foot infections or remedy brittle nails. It can also be used as compress for boils, a tincture to be applied at your roots (to increase your hair strength) or steamed and inhaled to relieve sinus congestion. Ingested uses: Typically ingested by brewing the leaves into a tea, horsetail is known to improve bone health and circulation. Horsetail is found alongside marshes, rivers, or other water sources—anywhere the soil is usually saturated. To eat, you must harvest the young, tan stalks before they mature. Once the reeds turn green, they’re too mature to eat. The leaves, however, can be snipped for tea at any stage. Mature stalks can be harvested for topical medicinal purposes. Found in these ASC products: Anti-Aging Eye Cream, Ayurvedic Facial Scrub, Beauty Blend Tea, Herbal Facial Oil for Normal and Combination Skin (and for Oily Skin). Have you spotted horsetail in your yard? 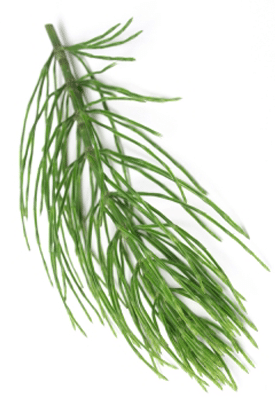 Read more about horsetail’s skincare benefits. What do root beer and ecstasy have in common? Sassafras. The plant was once the main ingredient in both the soda and the popular club drug. And though sassafras is a tree, it’s often considered a weed because of how quickly it spreads. It can grow up to 100 ft and has yellow-orange bark and dense, green leaves. Generally, when people speak about the myriad healing properties of sassafras, they’re referring to its root bark. It has antiseptic, analgesic, diuretic, antioxidant, and aromatic properties. Topical uses: Made into a poultice, sassafras can reduce inflammation from rashes and sores and even speed up the healing of shallow wounds. It’s antiseptic properties (not to mention the delicious, root beer-like taste) makes it a great natural mouthwash. Ingested uses: Sassafras can be ingested by boiling the root bark into a tea or by eating the tree leaves. It can help alleviate gout, arthritis, and headaches. It also provides an immune boost, improves energy and relieves menstrual pain. 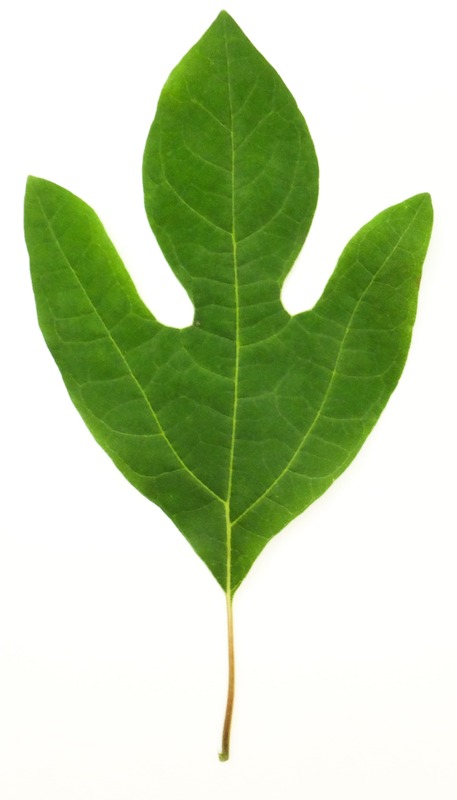 The sassafras tree prefers acidic, moist soil. It’s native to the eastern United States. The leaves can be cut directly from a sassafras tree to be used in salads, but harvesting the root requires a little more effort. You must dig around the tree until you find a good, thick section of root and use a knife to peel off the first few layers of root bark. Found in these ASC products: Anti-Aging Eye Cream. Milk thistle is a funny-looking flowering plant. A bright green stem holds a round, spikey, bright pink flower. If it hasn’t flowered yet, you can recognize it by its smooth and jagged leaves with white veiny patterns. Milk thistle includes anti-viral, anti-inflammatory, detoxifying, and antioxidant properties. Topical uses: The high antioxidant content in milk thistle makes it ideal for use on the skin for anti-aging benefits. Ingested uses: Maybe the biggest health benefit for ingesting milk thistle is the detoxifying affect is has on the liver, but it’s also been said to improve digestion, prevent gallstones, and control diabetes. You can ingest milk thistle by brewing the leaves and seeds in a tea or eating any part of the plant directly. Milk thistle, like a true weed, can grow just about anywhere, regardless of sunlight or moisture level. Harvesting milk thistle is a little tricky. For one, you’ll want to wear gardening gloves to avoid the plant’s thorns. Cut off the flowers when they show signs of drying out but before they’ve fully matured and released their seeds. Then, further dry out the flowers until you’re able to crush the flower and retrieve the seeds within. Found in these ASC products: Anti-Aging Serum, Anti-Aging Eye Cream, Coconut Body Oil, Herbal Facial Oil for Normal and Combination Skin (and for Oily Skin), Anti-Aging Facial Oil. Have you spotted milk thistle in your yard? 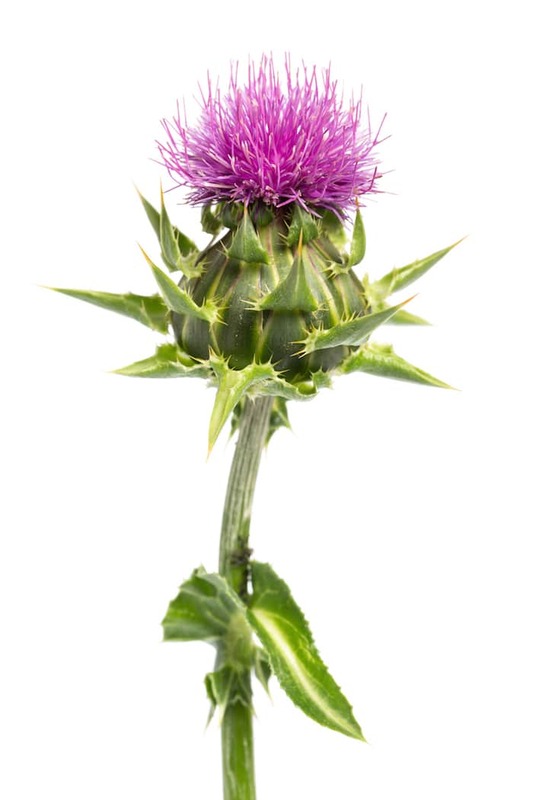 Read more about milk thistle’s skincare benefits. At ASC, we know there’s always something to learn from Mother Nature: she’s always prepared, and she’s always got something to nourish us. Happy foraging! Where do you live? And what is your favorite plant to forage in your region? Let us know in the comments! I always am interested in natural healing of plants! So thank you. I however live in the desert/tropics (Baja Calif. Sur, Mexico) directly on the Tropic of Cancer. Our climate is both desert and tropical! As we await a hurricane this very moment, it is humid and sultry and you can feel the energy of Mother Nature about to show her force. It is a magical place indeed!